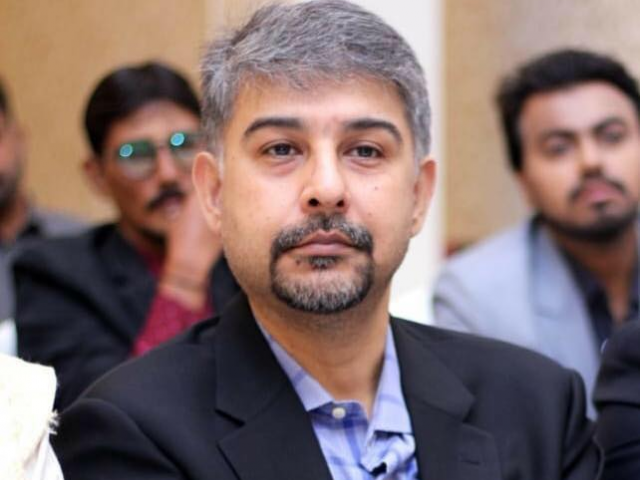 KARACHI: The funeral prayers for Muttahida Qaumi Movement (MQM) leader Syed Ali Raza Abidi were offered at Yasrab Imam Bargah, DHA Phase IV, after which he was buried in DHA Phase 1 graveyard on Wednesday. 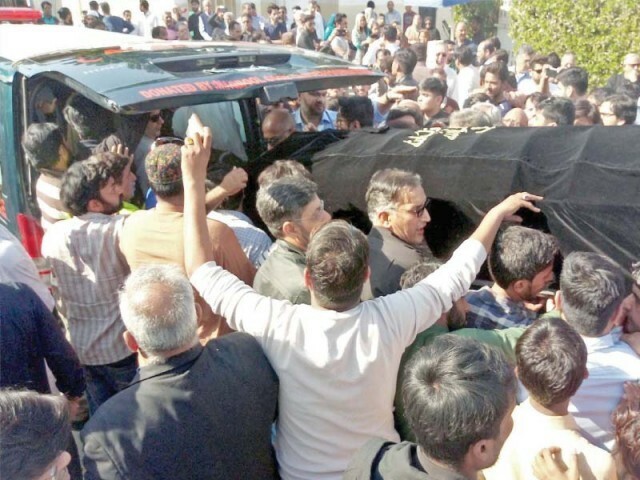 The funeral was attended by a large number of political leaders, family members and friends of Abidi. Abidi was assassinated in front of his house when two unidentified armed persons opened fires at him on Tuesday night. Allama Hassan Zafar Naqvi led the funeral prayer. Sindh Governor Imran Ismail, Federal Ministers Khalid Maqbool Siddiqui, Ali Zaidi, Karachi Mayor Wasim Akhter, MQM leaders Farooq Sattar, Faisal Subzwari, MNA Deputy Iqbal, Sardar Ahmed, Salman Mujahid Baloch, Rauf Siddiqui, Central District Municipal Corporation Chairman Rehan Hashmi, Pak Sarzameen Party (PSP) leaders Asif Hasnain, Muzamil Qureshi, Arshad Vohra, Pakistan Peoples Party (PPP) leaders Najmi Alam, activit Jibran Nasir and others attended the funeral prayers. Tight security arrangements were made for the funeral and burial. A heavy contingent of police and Rangers was deployed at Yasrab Imam Bargah and the graveyard. The bomb disposal squad had cleared the surroundings of Imam Bargah and graveyard after sweeping the area completely. Prime Minister Imran Khan and President Arif Alvi had expressed their grief over the attack on Abidi and sought the investigation report from the relevant authorities. They also offered their condolences to Abidi’s family. The PPP Chairperson and MNA Bilawal Bhutto Zardari also condemned the murder of Abidi and asked the Sindh government to investigate the case and arrest the culprits as soon as possible. Sindh Chief Minister Murad Ali Shah, condemning the incident, conveyed his sympathy with the affected family. Shah termed the incident an attempt to disrupt city’s law and order and directed Rangers and Police to be alert in case of any unpleasant situation. The citizens took on social media and expressed their shock and grievance on the murder of Abidi. Published in The Express Tribune, December 27th, 2018.